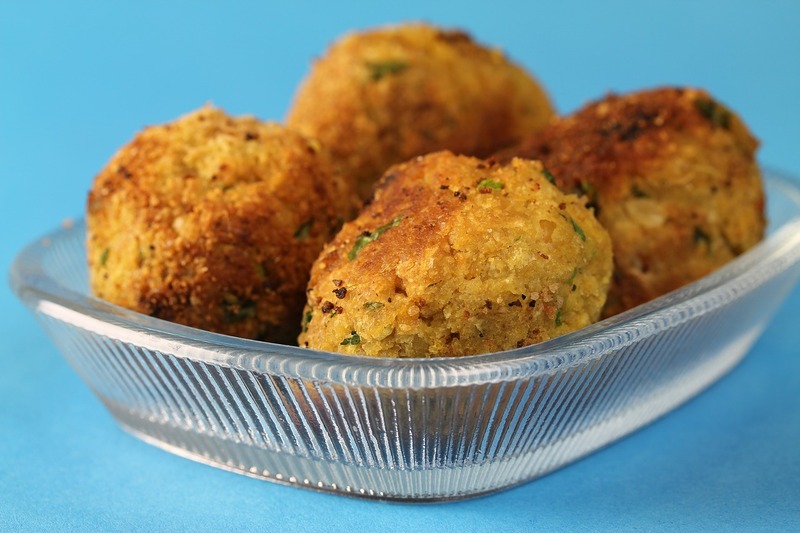 These delicious falafels can be made with any grated seasonal root veg instead of carrot. Try beetroot for a different look and flavour! Flour your hands and mould the mix into 12 golf ball shapes.